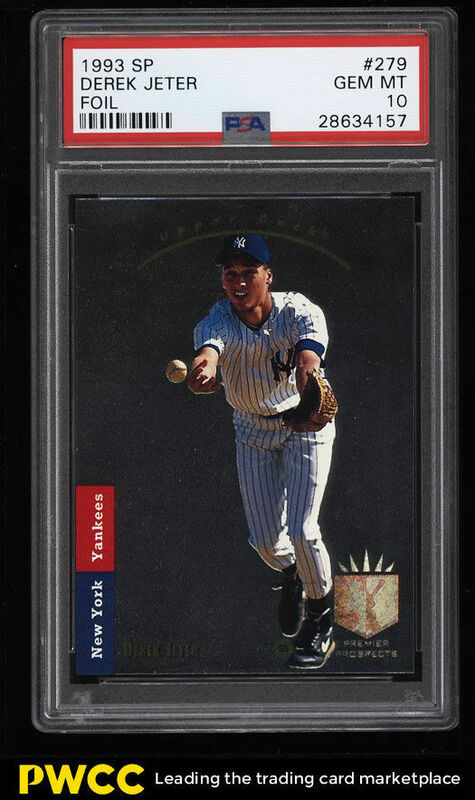 A 1993 SP Derek Jeter Rookie Card graded a PSA 10 almost hit the six-figure mark. The card, which is not only one of the most popular of the modern era but also one of the most condition sensitive, finished at $99,100. The card was sold through consignor PWCC. To reach the final price, it took 148 total bids from 21 different people. We have reached out to PWCC to see if the sale has been completed and the card paid for. They did not immediately respond but we will update when they do. 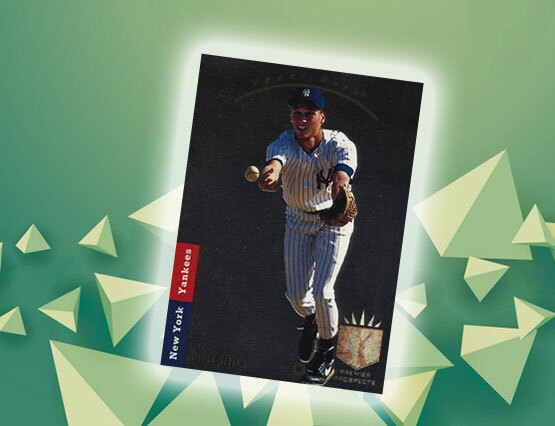 The 1993 SP Derek Jeter Rookie Card is significant for several reasons. 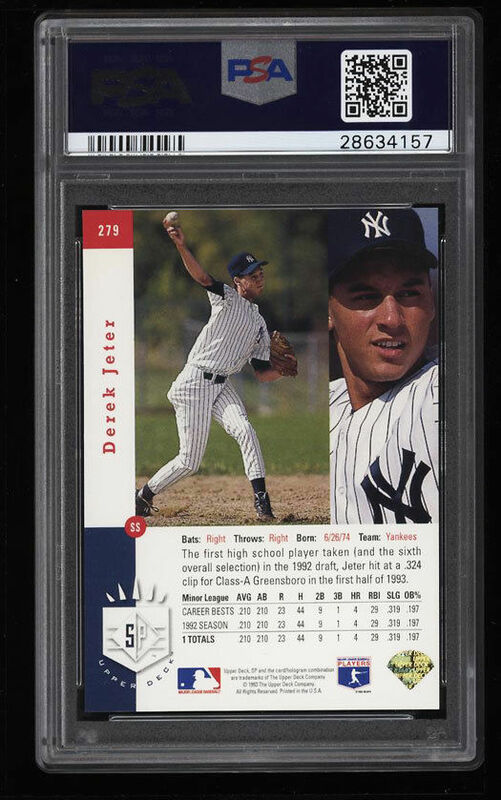 For starters, it’s the most iconic of Jeter’s earliest cards. It also helped launch Upper Deck’s new SP line, which would later morph into SP Authentic and inspire a handful of spinoff lines. 1993 SP Baseball helped up the ante a little further on what a premium sports card line might look like. But that’s only part of the story on why this card, as well as others in top condition, fetch so much. The Premier Prospects subset were done with foil fronts. That foil is prone to various levels of chipping. That means you won’t have a hard time finding on of the 1993 SP Derek Jeter Rookie Cards. But finding one in Mint condition or better? That’s another story. Shift into Gem Mint territory and you’ve got the extreme prices. How tough are high-grade 1993 SP Jeters? Of the more than 14,000 graded by PSA, just 22 have received Gem Mint 10 status. Less than 600 reached a 9. Beckett Grading has also graded more than 14,000 copies of the card. Not one is a Pristine BGS 10. A total of 239 have Gem Mint 9.5 grades and just over 2,200 are BGS 9. A pair of PSA 10 copies sold publicly in 2017, one for $54,576 in May and another for $49,000 in September. It’s important to realize that the extreme prices for this card come from its high grade. If you’ve had a copy tucked away for 25 years in a top loader or binder, you’ll still likely get a good price if you go to sell it. But you’re looking at hundreds instead of tens of thousands. If grading is something you may be interested in, you can see what options BGS has or contact a member of the team for further details. I always knew this card would be big. In 1997 I was running around card shows grabbing them up for $25 a pop when/if I could find a copy for sale. Problem was these copies weee nice and all (like new) but they all had some scratches or foil issues even if these were manufacturing issues. I’m the end I sold the SP Jeters I had at a modest profit and now own a single RC of the man, his grossly undervalued Bowman Rookie Card. Oh and about his Stadium issue, someday folks will realize that’s really a 1992 issue and should stand alone as the sole RC of Jeter, no? The 1992 Stadium Club was issued only as part of an update set and not in pack form, so it will always be labeled as an XRC much like 1986 Barry Bonds issues and 1984 Roger Clemens issues. Beckett should compile a list (or article) of the most expensive single cards sold. Maybe an all time list and a separate modern day card list. I would like to see where the $99.1k Jeter and $400k Trout fall on the list. I’m a little surprised someone hasn’t created a Wikipedia page with this yet. replying to TheCardInvestor……just like Nomar’s and Helton’s Rookie card right??? ?